Paros is a Greek island in the central Aegean Sea. One of the Cyclades island group, it lies to the west of Naxos, from which it is separated by a channel about 8 kilometres wide. It lies approximately 150 km south-east of Piraeus. The Municipality of Paros includes numerous uninhabited offshore islets totaling 196.308 square kilometres of land. Its nearest neighbor is the municipality of Antiparos, which lies to its southwest. In ancient Greece, the city-state of Paros was located on the island. 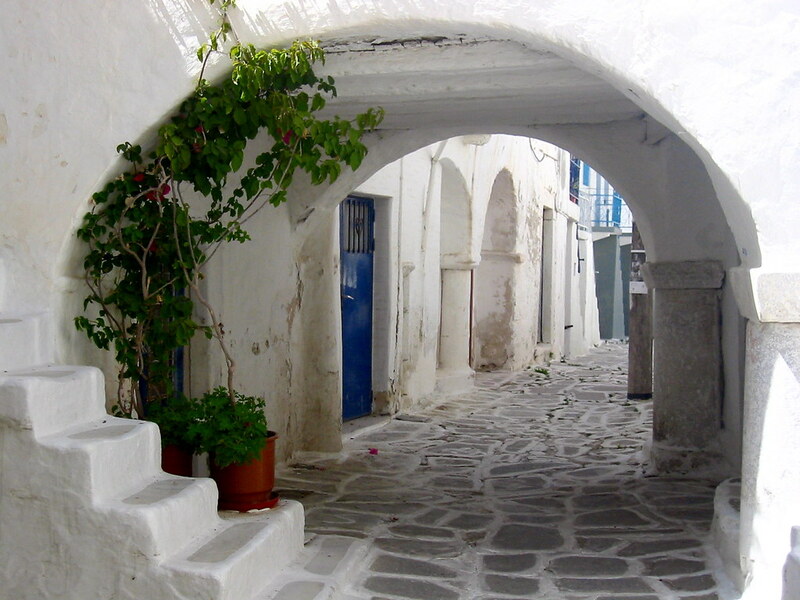 Paros' geographic co-ordinates are 37° N. latitude, and 25° 10' E. longitude. The area is 165 km2. Its greatest length from N.E. to S.W. is 21 km, and its greatest breadth 16 km. The island is of a round, plump-pear shape, formed by a single mountain sloping evenly down on all sides to a maritime plain, which is broadest on the north-east and south-west sides. The island is composed of marble, though gneiss and mica-schist are to be found in a few places. To the west of Paros lies its smaller sister island Antiparos. At its narrowest, the channel between the two islands is less than 2 km wide. A car-carrying shuttle-ferry operates all day . In addition a dozen smaller islets surround Paros. The blue markers shows the location of various accommodations in Parikia. The letter in the marker describes the accommodation types: H for Hotel, A for Apartment, R for Resort, B for Bed & Breakfast and O for Other (e.g. pension, villa). Click on the blue marker for more information on the accommodation.